Save time, money, and sanity. 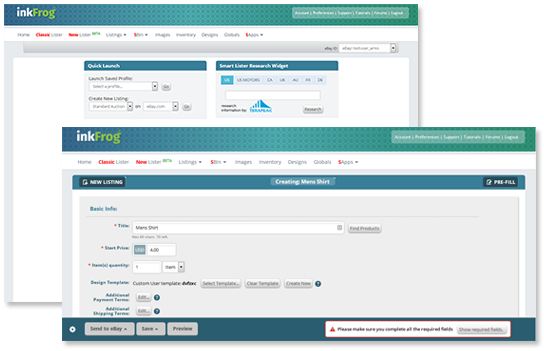 Thousands of eBay sellers use the inkFrog system to launch and manage their eBay listings. inkFrog offers everything you need to sell more efficiently and effectively. Your time is valuable, and you need to have the right tools at your side to get the job done as efficiently as possible. inkFrog is your answer! 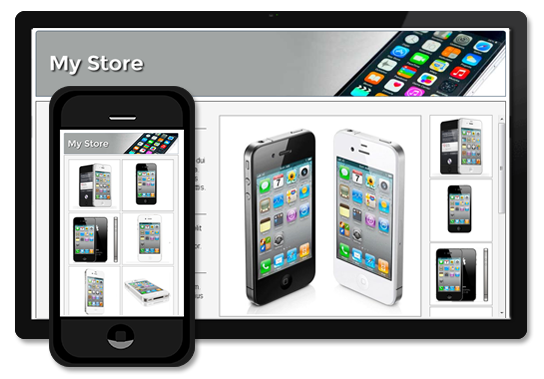 Responsive Templates - According to eBay nearly 1 in 3 purchases are done through a mobile device. Our new responsive templates can help ensure your product descriptions are keeping up with the growing trend. Our Responsive Templates adjust for either desktop computer, iPad, tablet, or smartphone. No more horizontal scrolling and no more worrying that your product images appear too small. Over 12,000 sellers trust inkFrog! inkFrog username: inkFrog password: Forgot your username / password?